Take the proven design of the St. Croix Forge Plain and make it slightly thinner to reduce some weight, and you have the St. Croix Lite shoe. The generic pattern is easily shaped into a front or hind shoe. 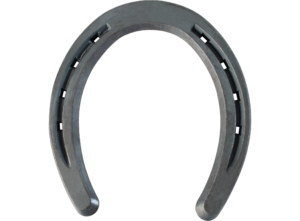 This shoe is designed for versatile use and punched for CH5 nails.